It has been 2 months, I didn’t tell anyone before except my family and boyfriend (and few close friends) regarding the invitation from Nexus Clinic for a treatment on my face. I received the invitation last year December and then I got my first visit in the mid of January! I was given 2 months time to write the review. Supposed I have to separate my post on my different visits, but I decided to write it all in one because I want to let everyone see the real result of the whole process. I personally dislike clicking different post and waited to load for every post they show the results. A reminder here, all the pictures with my face in this post were not edited and you might be surprised by my horrible face! They are different from my usual selfie pictures because I edited them! Yes I admit, but who doesn’t want to show a flawless face you tell me!? Alright. Before I start talking on my experience at Mediviron, let me briefly introduce to you the environment and surrounding of Mediviron UOA Clinic. Beauty is not just about looking good, it has to evoke the depth of human emotion within and beyond. You want to feel confident and good about yourself. At Nexus Clinic, we view “Aesthetics” as both an art and science. Nexus was an Award Winner For Customer Service from WhatClinic.com from 2010 to 2013! Besides doing all the treatments, they are like normal clinic you normally will visit when you’re sick. I was told that I get to chose 1 out of 6 different kind of treatments. I’d chosenFractional CO2 Laser Treatment because I want to get rid of my super huge holes and scars on my face! My mom agreed to let me do the laser is because she a beautician said that she can’t help on the holes. So after I’d arrived (15 Jan 2014), I registered myself at the counter as a first time visitor. Then was invited to visit the doctor. She first see my face and said that I have a lot of active acne, and some are keep popping out. So she recommended me to take Skin Peel instead of laser. She told me that skin peel can lighten my dark spots and make my deep holes become smaller, and of course heal the acne and not letting it to reproduce. The skin peel Mediviron UOA use is called tri-chloroacetic acid (TCA) and is one of the original skin rejuvenation peels. They are recommended for men and women of all ages wanting to improve moderate to severe sun damage and or signs of ageing. My “swelly” face during Januray, the whole look was terrible! The beautician Stephanie helped me to clean my face before I started my skin peel. So this is the clean bare face! After a few minutes of the TCA was applied on my face, I can feel a burning sensationunder my face especially the parts which has more acne, which makes me feel that the acid is killing all the bacteria! In the picture above in bottom left, I was actually pointing the part to the doctor telling her that that part is burning. Dr applied 3 layers on my face and then a cold compresses (picture in bottom right) are applied after completion to help cool the skin. The first few days my skin are quite tight and dry. I was advised to apply more moisturizer, MUST apply sunscreen and not direct my face to the sunlight. After day 3, my skin started to peel and it’s quite obvious (refer pictures below). Maybe it’s because that it’s my first time do peeling. But it’s not serious enough like some other people if you search some related pictures in Google as I have oily skin. So below are the pictures of my face for the 2 weeks time. Day 2: You can see the shinny surface, which it will be peeled after 2 weeks. Both side of my face actually doesn’t seem obvious but at least I feel my skin is brighter now! So my second visit was after Chinese New Year. Fyi, I actually went to Koh Lipe (an island in Thailand) during my CNY, and of course I went under the sun! But that’s already 3 weeks passed after the peeling so I guess it doesn’t hurt my skin that much. And of course I did applied lotsa lotsa sunscreen! Aight back to topic, my second visit actually shows that my peeling is not serious and of course, not obvious. 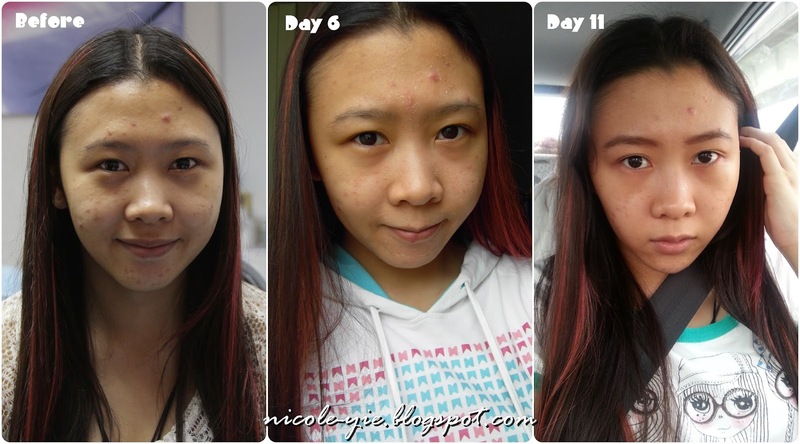 And my acne still keep popping out and we don’t know why although doctor gave me antibiotics to kill the acne bacteria. So she gave me to try on LED Phototherapy to heal my acne. Too good!!! So this is the face before the LED treatment. It’s actually quite good already if compare to my first time visit! The faces because my LED treatment. I guess is because I don’t have proper rest at that moment, that’s why pimples still popping out!! You can see an obvious changes! My skin glowed, as you can see it’s under the same lighting! So I actually went 3 days in a row to do the LED phototherapy because it would be more effective. After my 3 times of LED treatment, I did my second skin peel. This time doctor decided to give a stronger acid for my skin. I have to apply the numb cream before the peeling so that it won’t be that hurt! My face looked white due to the whitening sunscreen they helped me to apply. And you can see another layer of shiny surface on my skin! I didn’t took much picture because the peeling this time is not as obvious as my first peeling. 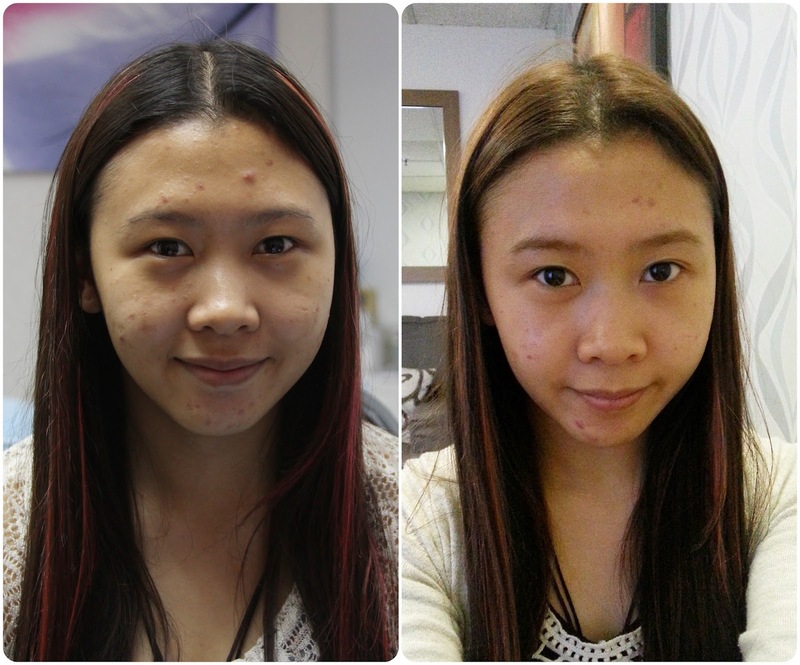 There are actually some new huge pimples due to stress and lack of sleep recently! Because this invitation actually only allow me for 3 visits, and I had went for more than 3 times, so doctor gave me my last LED treatment before I leave. Actually, not only this treatment which doesn’t shows obvious results for so many times. Few years back, my mom actually brought me to few skin care clinic to check and all the medicines and creams did not function well on me! But to be honest, this treatment was the biggest treatment I did and of course, the biggest changescompare to others I did! From my very first picture and very last picture for the whole treatment. It’s still obvious right?! So the conclusion is, these treatments brought back my glowing skin! Although there are still lotsa scars and hole which need to be treated by laser, I’m satisfied with the whole process! Of course, I’ll have to start taking care of my own health to prevent serious break out and cause more scars on my face! Some of the people out there actually have a bad impression about laser, botox and some of these treatments. I was actually one of it. I have a huge birthmark on my leg, and I wanted to move it away through laser when I was young. But my grandma made me had that impression which is “Laser will cause cancer!!“. After that, I don’t even dare to think of going for any laser. All thanks for the invitation from Mediviron. 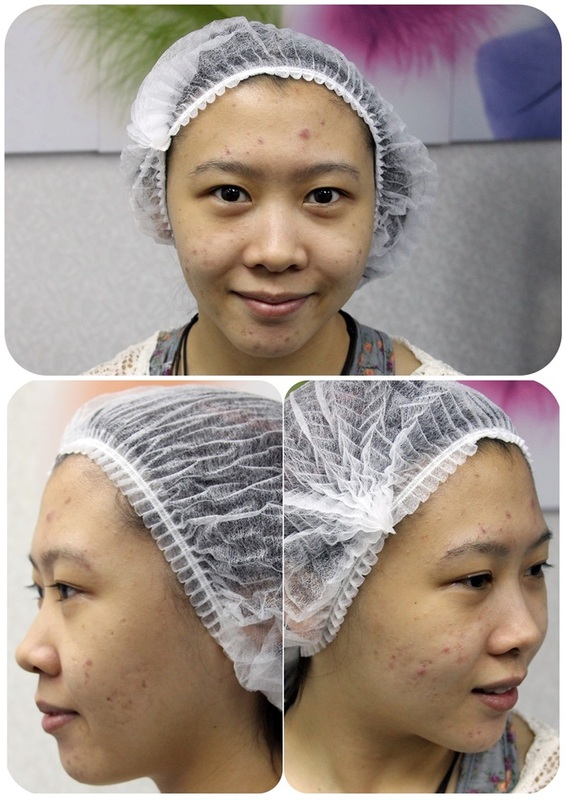 Why I decided to visit Mediviron to go for a laser treatment at the first place is because of my mom, who is a beautician told me that the holes and scars on my face only can be healed by laser. She told me that actually the chances of getting cancer through laser is only 0.1%! So I made up my mind and decided to go for it!! Same goes to botox, which I thought that it was just for elderly or rich people who wants to have a smooth and younger look. But when Jai told me that botox can heal people who has Hyperhidrosis (Excessive sweating of the palms, feet, armpits and the groin area), that impressed me, a lot! !